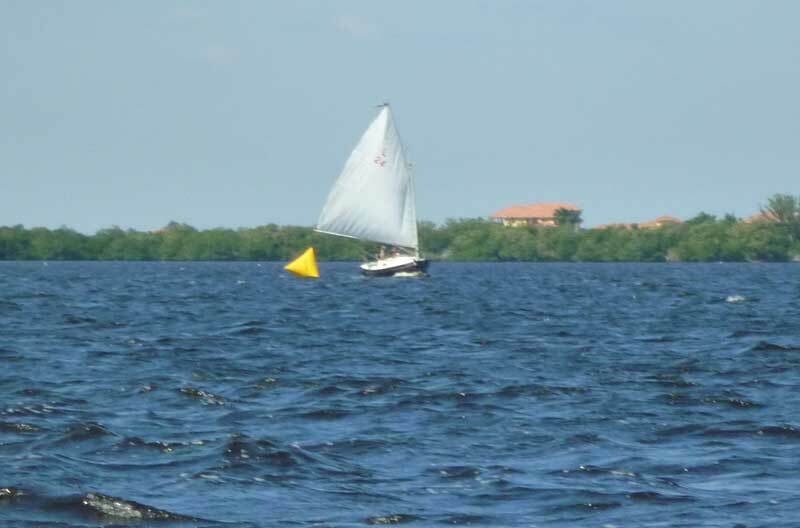 I’m happy to report that two-time Sun Cat Class National Champion Scott will be joining us for the 2014 Sun Cat National Championship! 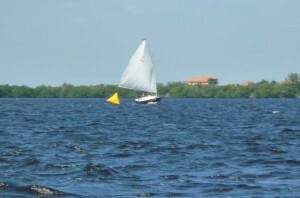 The sail is pictured above. It is 180 square feet with a reef point to take it down to about 150 sq ft. It is a proven performer, with Scott taking the National Championship both years that he sailed with it. It is completely class legal, as the class rules say nothing about the size nor the nature of sail(s) that Sun Cats may fly during a race. If anyone is interested in this sail who does not already have Scott’s contact information, just use the form on this site and I will see to it that he gets your message. I am considering buying the sail myself, but buying a winning sail at my own joke regatta seems to me to send the wrong message about the seriousness (or lack thereof) of Sun Cat Class competition.